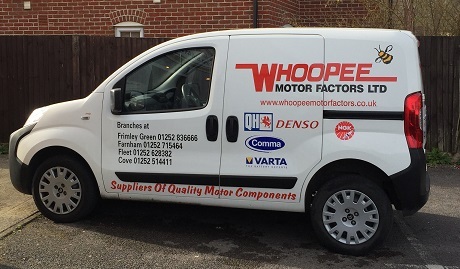 Whoopee Motor Factors – For all your car parts and auto spares. Our depots stock a wide range of auto spares, car parts and accessories for most makes and models of cars including specialist parts for collector cars and classic models. We deliver these parts between stores and depots and for those with a trade account, direct to their premises, or place of repair. We can also supply a full range of car accessories, car care products, such as polishes and paints, interior kit and body repair products. Call today for the cheapest prices, or use our online form to get a quote, or place an order. We still stock many parts, spares and accessories for classic car models. In many cases we have them on the shelf at our depots, or we have access through specialist suppliers and makers and can generally obtain what you are looking for. We make every effort to track down specialist parts – if we can’t get what you are looking for it is doubtful anyone else will either.